This year, SCAI celebrated the 40-year anniversary of a groundbreaking procedure, now known as percutaneous coronary intervention (PCI), that has saved millions of lives and enhanced the lives of millions more. Four decades of clinical study have confirmed the benefit of PCI for patients with myocardial ischemia (insufficient blood flow to an area of heart muscle). A new study presented today at the Transcatheter Cardiovascular Therapeutics (TCT) 2017 scientific symposium in Denver questions the value of this revolutionary procedure in some patients. 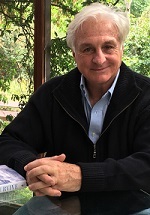 Roberto Canessa, MD, is one of the 16 survivors of the Uruguayan Air Force Flight that crashed into the Andes Mountains on Oct. 13, 1972. A second-year medical student at the time, it was Canessa who suggested the survivors resort to cannibalism to survive. In his recent book, "I Had to Survive: How a Plane Crash in the Andes Inspired my Calling to Save Lives," he shares how he overcame adversity and dedicated his career to saving the lives of infants born with congenital heart defects. Learn more about the SCAI 2018 Scientific Sessions program. SCAI announces the launch of a multifaceted educational initiative, TRAnsition for VALUE, that informs cardiologists, hospital administrators and cath lab staff about the economic and clinical benefits of expanding the adoption of transradial PCI in healthcare facilities across the U.S.
A new website, TRAnsitionForVALUE.org, allows registrants to receive custom education, explore training opportunities and features a modular eight-part quality improvement toolkit with accompanying webinars. Robert C. Bartel, MSc, FACEHP, is a medical association professional with two decades of experience in science, innovation and education. He has 15 years of experience in developing graduate and continuing medical education and maintenance of certification activities for healthcare providers. 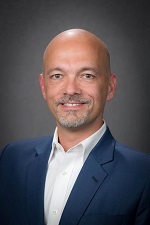 He most recently served as the Chief Innovation Officer for the Endocrine Society, where he led society-wide content strategy and new business development efforts. Bartel will work directly with SCAI's Education, Quality and Publications divisions to deliver transformative programs, products and services for cardiovascular interventionalists. Review sessions are rated one of the most engaging events at SCAI Scientific Sessions. We come together as a clinical community, review our most challenging and unusual cases, share our knowledge and techniques and discuss the ways our colleagues managed complications.